While reviewing campaigns for clients, Google Shopping Ads management professionals come across a wide variety of mistakes that lead to wastage of ad budget. The good news is that with a few adjustments, the most common mistakes can easily be rectified. 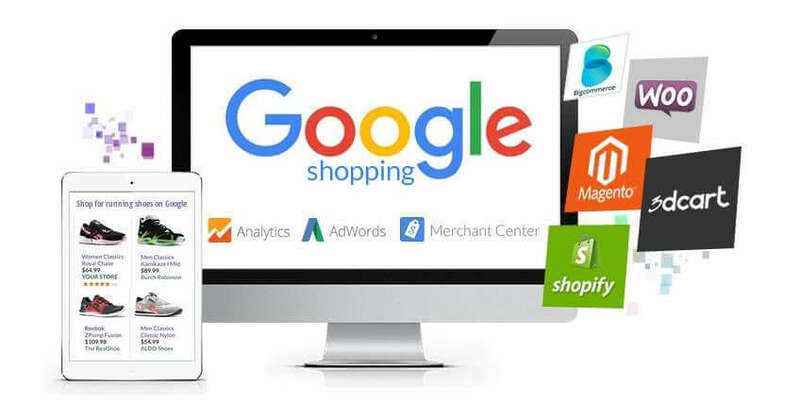 Google Shopping Ads professionals frequently notice that for shopping ads, in-house digital marketing teams club different types of products in the same product group and set a standard bid for the entire group. When you can have as many product groups as you want and set a bid for each product group, having the same CPC bid to cover multiple products with different characteristics such as prices, click through rates or margins just doesn’t make sense. The solution is to split product groups to the individual product, item ID or SKU level and bid strategically for each product. You can take this concept to the ad group level to take advantage of negative keywords. Negative keywords are controlled at the ad group level and by having a separate ad group for each product, you can attach negative keywords to each ad group. This will help you save money on irrelevant clicks and allow traffic to go to other, more relevant ad groups. Brand traffic and non-brand traffic are completely different from each other and require different strategies with different bids, different targets etc. However, many advertisers don’t separate brand traffic from non-brand traffic because they think Google does not allow keyword targeting. With smart campaign priority settings and the right use of negative keywords, shopping ads management professionals differentiate brand traffic from non-brand traffic. When you create a brand campaign, set the campaign settings to medium or low priority level. For a non- brand campaign, set the campaign settings to high or medium priority level. Attach a negative keyword list including all associated brand terms for the non-brand campaign. When someone searches for a brand term, they won’t see your non-brand ad and when someone searches for a non-brand term, the non-brand ad will be triggered due to higher priority. Depending on performance, you can set specific bids for each campaign and save money. White label Google AdWords service providers frequently optimize bids because they know that search advertising is dynamic and fluctuating all the time. However, the same can’t be said of amateurs who optimize bids maybe once a month or once in few months which is really not enough and can lead to wastage of ad spend. How can a business offering thousands of products update bids frequently? Expert white label shopping ads services providers’ take the help of automated bid management systems offered by Google or third parties such as Adspert. If you have enough conversions, an automated bid management system can dynamically update bids so that it achieves campaign performance targets. To set up an automated bid management system with Google, go to ‘Shared Library’, click ‘Bid Strategies’ and then click ‘Create a new bid strategy’. For shopping ads, experts recommend ROAS based bid strategies. Give your strategy an appropriate name, choose the campaigns you want to include, set performance target and save. Google will ensure that your bid is optimized to achieve the target you set. It may take one to four weeks to see optimal performance, so don’t panic if you’re not seeing results in the first few days. With minimal investment of time and effort, you can have a better performing shopping ads campaign. For expert assistance, get in touch with our stellar team of white label PPC experts! Previous Common Google AdWords MYTHS You Should Forget Right Now!